Barcelona's Sagrada Familia cathedral in Barcelona, Spain, is finally getting a building permit, more than 130 years after work on the structure began. City officials announced the permit agreement earlier this month. It ended a long argument over the legality of the continuing work on the cathedral. Under the agreement, the cathedral will pay city officials 36 million euros. The money will be used to help pay for improvements to city streets and Barcelona's public transportation system. Building equipment has long surrounded the tall spires of Spanish architect Antoni Gaudi's most famous building. The building of Sagrada Familia began in 1882. 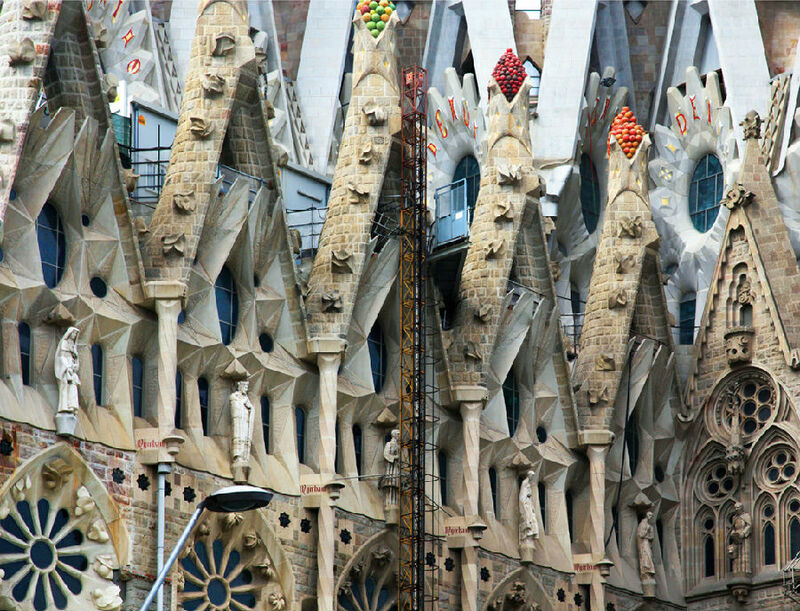 It is set to be completed by 2026, 100 years after Gaudi's death. He was struck by a vehicle in Barcelona in 1926. He lay on the street in pain for hours. By the time he arrived at a hospital, it was too late. At the time of his death, workers had completed only about 25 percent of the cathedral. Progress has been slow in the years since. Work was stopped during the Spanish Civil War in the 1930s. Many of Gaudi's original plans were lost. Building began again in the 1950s. Gaudi's design for Sagrada Familia includes modernist, Art Nouveau and traditional Gothic elements. It also includes 18 towers. Eight of them have been built. Barcelona residents have long argued about Sagrada Familia. Many do not like Gaudi's design. Others believe it is too costly to complete. But art critics admire it greatly. Art critic Rainier Zerbst said, "It is probably impossible to find a church building anything like it in the entire history of art." Famous architecture critic Paul Goldenberger said Sagrada Familia was the best "interpretation of Gothic architecture since the Middle Ages." In 2010, Pope Benedict XVI declared Sagrada Familia a basilica, an honor that only the pope can give. The clergymen of the Christian Church were often rabbled in the civil war. The inefficient transportation system should be blamed for the chaos, the voters said. The plague was greatly feared in the Middle Ages. 5.Others believe it is too costly to complete. It is too costly to pay such a high price. Apartment buildings are located in cities where it is too costly to build houses. 6.IBy the time he arrived at a hospital, it was too late. He cried, but it was too late. We both tried to get the coins, but it was too late.